Basic marketing tips you can apply to any school public relations campaign. 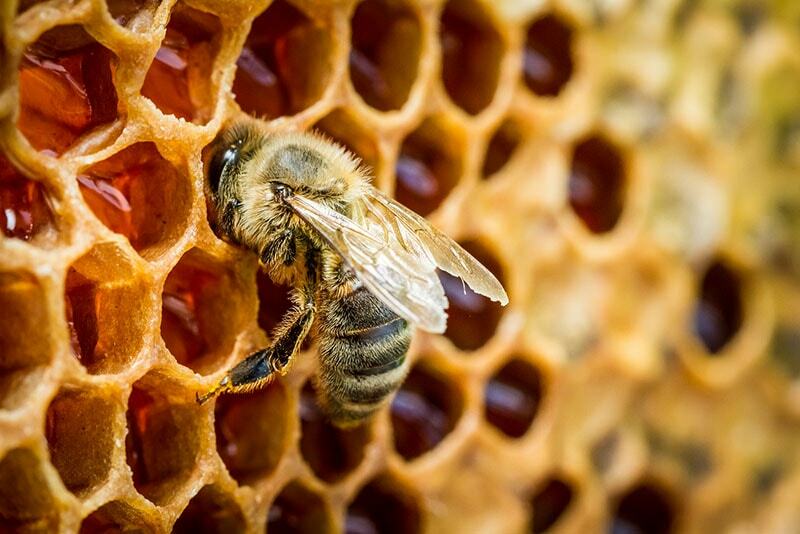 If your school community were a beehive, what would you want them buzzing about? Think of all the great events your school hosts every year: back-to-school nights, open houses, math nights, workshops, winter concerts... the list could go on! Can you imagine a hundred little conversations all taking place at once around your community about your school event? This is exactly the kind of buzz that can help your school community come together in a supportive, unified, and exciting way! The first rule in creating buzz is that it starts with you. According to Scientific American, the buzz from bees comes from the rapid beating of their wings. The bigger the bee, the slower the wingbeat, resulting in a lower pitched buzz. When you focus on marketing a school event or activity, you need to have a clear message—this is the beat of your wings. What do you want everyone to buzz about? What’s the message you want your audience to hear? Once you have your message, you need to get everyone buzzing with you. Here are some basic marketing steps your school can use to create your own buzz in any school marketing or PR campaign. Meet me in the Beehive! Your own beehive is the best place to get your buzz started, so schedule a staff meeting. It is impossible to create a noticeable buzz on your own. It is vital that you involve your worker bees from your school staff. So, involve them. Include them in the planning and actualization. Get them excited about your event and on board with your message and goals. Counsel together on your approach for this particular event, then delegate duties. It is important to recognize that your success is directly connected to the value placed upon the various roles and duties of those involved in marketing your school’s event. That’s what you need to succeed with your school marketing plans (and, honestly, even with your school’s vision and mission)—partners who work with schools. As with everything, remember to keep it positive. You’ll likely draw sweeter attention with honey rather than vinegar. Spread the word like honey! Honey is delicious and has many health benefits; spreading the word effectively for your event has many sweet and positive benefits for your school. Here are a few suggestions to keep in mind. Announce it! Spread the word about your event effectively by announcing it well in advance. Your school’s families will sense the value you place on communication when you keep them informed early about school events. Hearing about school events a few days beforehand is often too late for many families. Engage early. The sooner you start promoting, the more likely it will catch on and people will join in. Involve your audience before the event to get them excited about attending, such as holding a contest, sharing interesting facts about the event, going live on Facebook to share behind-the-scenes moments, etc. Create a hashtag and use it. Hashtags are tricky. The best advice to make it work? Keep it relevant, short, and unique. There is a lot of potential in creating your own hashtag associated with your buzz event and school. Your hashtag facilitates searches on social media. If someone wants to look up what your school is doing or has done in the past months, even years after your event, they’ll be able to see it, thanks to your hashtag. What a great school marketing tool! Involve vendors. If there are vendors involved in your event, ask them to cross-promote the event on their social media. For example, some schools choose to have food trucks at their school carnivals, book fairs, and other events. That's the kind of vendor that would love to help promote your event in the community. It’s a win-win situation for the vendor as well. Broadcast the event. Consider live streaming from the event. Not the whole thing of course, but as the event starts, it couldn’t hurt to jump on social media, give a tour, interview a couple of participants or attendees, and encourage more people to come out and join you! Warning! Don’t get stung! When it comes to the school website, schools ought to avoid the temptation of advertising their big event on the homepage. There is a danger that someone will forget to take it down, and the last thing a school wants is outdated news on the homepage. So we recommend a feature on the news page with event details. Make sure the event is on the calendar. Your school’s social media posts link back to the information on your news page, so include an image to make your posts more engaging. Don’t forget the old school way of creating buzz. Use local media. Send a press release, or better, send a personal e-mail or make a call to invite a member of the press to the event. Include in your message what's going on at your school, why it’s going on, the expected highlights of the event, and any "story" that goes on behind the event. Don’t underestimate what your school can accomplish by reaching out to various media sources and others. This spring, Field Roads Elementary School in Gaithersburg, Maryland, received a surprise donation of $13,000 for their school read-a-thon in April 2017 from Reddi-Wip and the Tonight Show’s Jimmy Fallon. Talk about creating buzz! Remember, even if you don't ask a member of the press, you can ask one of your staff or parents to attend in a "reporter" role to observe, photograph, talk to people to get good quotes, and type up a story to send to the papers and to post on your school website after the event. Did you know School Webmasters recently developed a PR4 Schools service line to help your school create more and better buzz? Many School Webmasters customers have commented through the years that the most difficult part of managing their school website, social media, and creating effective communication channels is not having an available workerbee to make it happen. Your school’s staff already has a full load of work, and adding “other duties as assigned” just doesn’t always happen. If you’re in need of some actual feet on the ground to gather information and share your school’s stories, School Webmasters can provide the staff to act as your school’s on-site Communications Coordinator. The coordinator has access to our beehive of expert staff to deliver all the needed skillsets like: graphic design, copywriting, public relations strategy, proofing and editing, and much more. Here’s how we help create buzz: We hire and train an individual from within your local community to become your communications coordinator. Your communications coordinator will spend approximately one day a week on site (wherever they need to be) to keep information flowing to your communication channels by gathering stories, planning activities, planning campaigns, coordinating your school communications plan, and gathering photos and videos. PR4 Schools manages your communications coordinator as she/he works with school administrators to plan your communication and content calendars that will tie into your school’s strategic messages each year. With your administrators, we create a strategic 1–3 year communications plan and create campaigns that will help you accomplish your communications, public relations, and school marketing goals. If you are interested in any of our PR4 Schools services, please complete our PR4 Schools questionnaire. Are you ready to create a buzz with a solid school communications strategy? We’ve identified some sweet and simple principles to help draw the positive attention to your school that you seek. Different bees produce different buzzes. Every school will find various ways to generate the interaction of their product with their consumers, the school community. You can do it! If you feel overwhelmed or discouraged, remember, School Webmasters is here to help. At School Webmasters, we believe healthy school communications programs are extremely important. Did you know we have two public relations experts on staff to share helpful tips to encourage school community by creating buzz through marketing and public relations? Bonnie Leedy, CEO of School Webmasters, has years of experience as a public relations director in the corporate world. Prior to founding School Webmasters she worked as the director of public relations for GoDaddy. Katie Brooks, our public relations specialist, holds a B.A. in journalism and mass communications and an M.A. in communications and public relations. Katie has professional public and media relations experience creating campaigns for a range of industries from NASA to small businesses, and her specialty is non-profits. Katie leads the service line of PR4 Schools.